You are here: HomeWhat we treat Foot, ankle, knee & hip pain. Examination of foot and ankle. Pain from arthritis, sports injuries, sprains and strains, heel spurs and plantar fasciitis are common problems affecting these areas. Because these joints are closely linked and work together when walking, running and cycling etc, pain in one area often leads to pain in another. Runners may complain of knee and ankle pain because they have compensated for an ankle sprain and that has put more pressure on the knee joint. People with hip arthritis will present with knee & hip pain on the effected side. They often also complain of knee pain on the opposite side, due to putting more pressure on the “good leg”, to compensate for the painful hip. Gout – This is a type of arthritis which is due to an accumulation of waste product urate (or uric acid) in the joints. It causes severe pain, redness and swelling in the affected joint, especially the big toe. Typically it affects men between the ages of 30-60 years old. 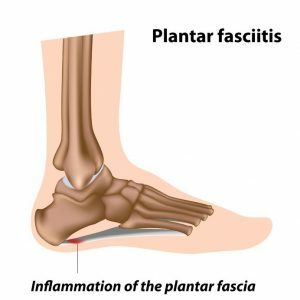 Plantar Fasciitis – The plantar surface of the foot is in contact with the ground. Fascia is a tough band of connective tissue that helps to stabilize the foot. Plantar Fasciitis is thickening of this fascia due to injury or as a consequence of accumulated smaller injuries. Pain is generally worse first thing in the morning (often described as ‘first step pain’) or when standing up after a period of rest or inactivity. Read the Plantar Fasciitis Case Study. Ankle Sprain – This refers to tearing of the ligaments that help to stabilize the ankle. The most common type is ‘an inversion sprain’, where the foot rolls underneath the ankle causing damage to the lateral (or outside) portion of the ankle. 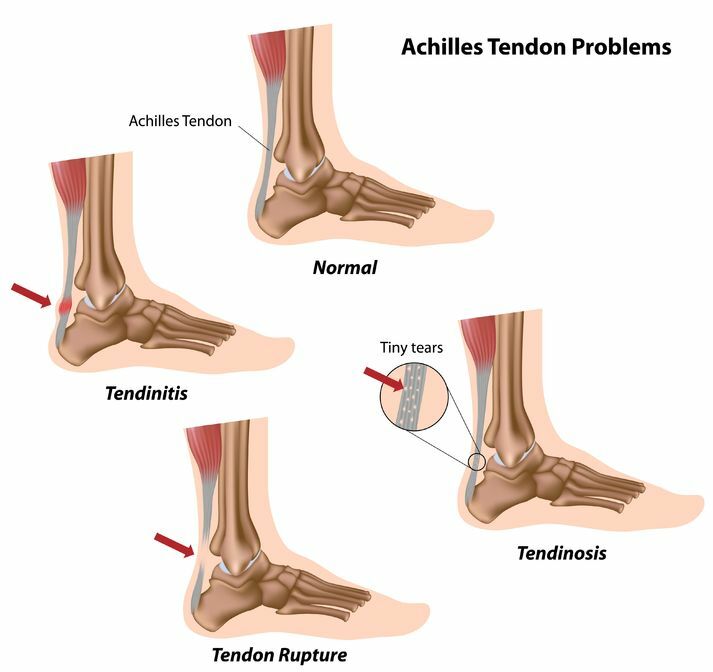 Achilles tendonitis / tendinosis – These two often get confused. Tendonitis is a short-lived inflammation of the Achilles tendon (which attaches the calf muscle to the heel) which generally resolves with rest over time. If this problem persists it the tendon may degenerate and develop microscopic tears. This may result in rupture of the tendon. 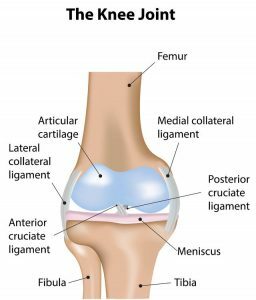 Knee Ligament Damage – There are four strong ligaments that cross from the thigh bone (femur) to the lower leg (tibia) to help stabilize the knee joint. They can become overstretched (sprained) and tear (rupture). 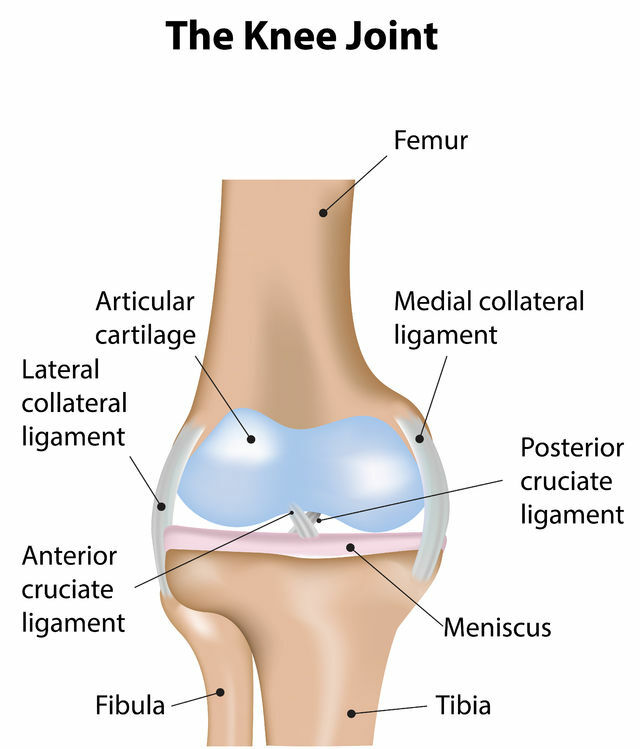 Injuries can cause pain, swelling, bruising and reduced range of movement (ROM) of the knee. Iliotibial Band Syndrome – This where the Iliotibial band, a fibrous sheath of tissue that runs along the outside of the thigh, causes friction and irritation over the outer bony surface of the knee. Generally there is a burning / aching sensation but with an absence of swelling. Osteo-arthritis – This involves a gradual wear and tear of the joint cartilage which causes a gradual reduction in joint range of motion and chronic pain. It is typically associated with aging, injury or being overweight. Read the Knee Osteo-arthrits Case Study. 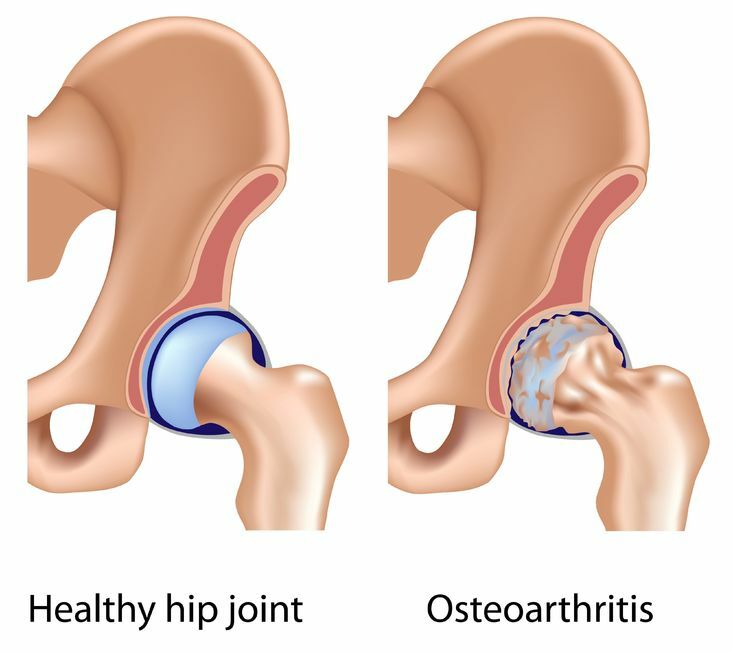 Hip (Osteo-) Arthritis – This involves a gradual wear and tear of the joint cartilage which causes pain and a gradual reduction in joint range of motion. This is often associated with heavy physical work but those with a history of congenital or childhood developmental problem also have a high risk of Osteo-arthritis. People with hip arthritis will present with knee and hip pain on the effected side. They often also complain of knee pain on the opposite side, due to putting more pressure on the “good leg”, to compensate for the painful hip. Read the Hip Osteo-arthritis Case Study. 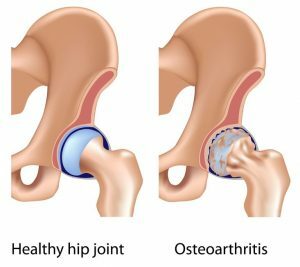 Hip Bursitis (Trochanteric Bursitis) – Quite a common condition. This is where the bursa, the fluid-filled sac that is positioned between the hip and the muscles (to reduce friction), becomes inflamed. There are numerous causes including trauma or activities such as running or cycling. Often it may come on without apparent cause. Read the Hip Bursitis Case Study. As Osteopaths we appreciate these mechanical interconnections and treat the whole picture not just the part that hurts. Osteopathic treatment can help by reducing muscle tension, promoting ligament healing, improving joint flexibility and suggesting exercises to help reduce pain and promote tissue healing. (See sports injuries). Foot, ankle, knee and hip pain..